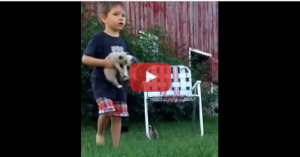 Momma Cat loves her baby rabbits… wait what?! A mother is always a mother. Their love for other babies is no different from their own. Mango the mother cat shows her love to other animals — rabbit. She showed love and affection as if its her own. She maybe mistakenly thought it was a cat, nevertheless she still took care of them warmly. Cats are known to be such a caring, lovely, protective mother to their kittens. You’ll never see a mother cat abandons their offspring like other animals do. So its not a surprise that cats are taking care of other animals. It has and will always be cats nature. Mother’s love for their babies is just unconditional. No matter what specie they belong, it is all the same. Though they show their love in a different manner but still they love them equally. Do you have videos of your pets having such an intimate moments with other animals? Share your videos to us! We’ll discuss how amazing they are!